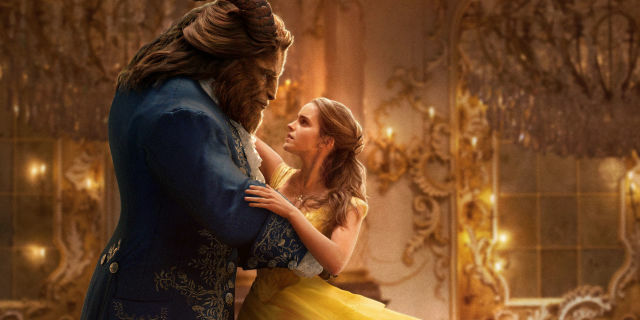 Emma Watson brings Belle to life in the wonderfully crafted cinematic gem, Beauty and the Beast. In an era that fails to deliver many great family movies, moms and dads will delight at this reminder of more virtuous times. 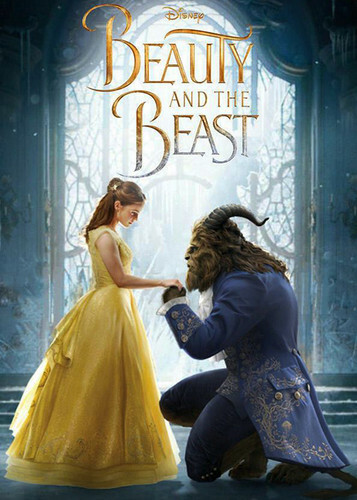 With call backs to The Sound of Music and numerous other musicals, Belle and her Beast bring wonder back to the movie house. Disney has been on a roll with their current trend of transitioning their classic animated films to live action cinema. This new version of Beauty and the Beast is a nearly perfect rendering that only falters in a few segmented areas that barely take away from the overall experience. Based on the tale of Belle and her love for a cursed prince, this treatment offers the same classic story as the 1991 animated offering by Disney and gives audiences an emotionally poignant motion picture that's highlighted by boisterous sets, beautiful costume design, and musical numbers that show off the multitudes of talents owned by the phenomenal cast. If you have children that love the Disney princesses, Beauty and the Beast is great family entertainment that features a few slightly scary moments that might be too much for children under five years old. As expected, the singing and music only add to the charms of this film and are one of the definite highlights. Plus, who can complain about the always inspiring Kevin Kline playing her dedicated father? The Walt Disney brand never seems to disappoint. With their new version of Belle's journey, they truly push the envelope by crossing CGI animated characters with a highly skilled cast of real actors. Most of the speaking objects like Lumiere, Chip, and Mrs. Potts are hyper realistic in their presentation. There is no distinct separation from reality. They appear to exist in the same space as the human characters and their interactions are believable on multiple levels. Plus, Emma Watson has an uncanny ability for convincing her audience that she is truly speaking to a teapot, candelabra, or wardrobe. The voice acting is witty, clever, and never feels stilted or disjointed. Let's dance! Put on your red shoes and dance the blues! With that said, there is one huge flaw that could not be ignored. The animation of the Beast is nowhere near the same quality of the other computer generated characters. Unlike Planet of the Apes or last week's King Kong, the Beast looks synthetic and his motions are slightly unrealistic or overcompensated. When we have the technology to create absolutely believable creatures, there's no reason for the Beast to look like this. Dan Stevens is great in the role and gives an excellent voice performance when he's in Beast mode, but the animation is simply lacking the same level of detail as the other characters. If you're looking to take your kids to the show, be wary of a few scary scenes with the wolves. Other than that, this is as close as you can get to the Disney animated formula being brought to life with an excellent cast of actors that truly throw themselves at the screen. I highly recommend Beauty and the Beast. And please, pay no mind to the dramatics surrounding the character of LeFou. It's purely innocent.